Lemon oil is obtained from Lemon tree that grows up to 6 meters. It has dark green serrated oval-shaped leaves and has white/pink flowers that are highly aromatic. It has excellent aromatherapy and medicinal property that provides relief from migraine, headache and also used to treat arthritis and rheumatism. It is also used to treat skin related problems. 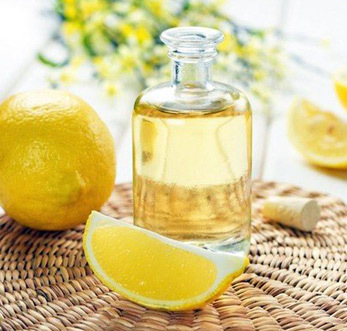 Lemon oil is highly demanded in flavoring and fragrances industries. It is also used in the treatment of rheumatism, cold, flu, respiratory problems and arthritis. This oil is widely demanded for treating acne, oily skin and removes dead skin cells. Lemon oil is also useful in insect bites, herpes, and mouth ulcers. The oil brings shine and growth of nails and hairs.